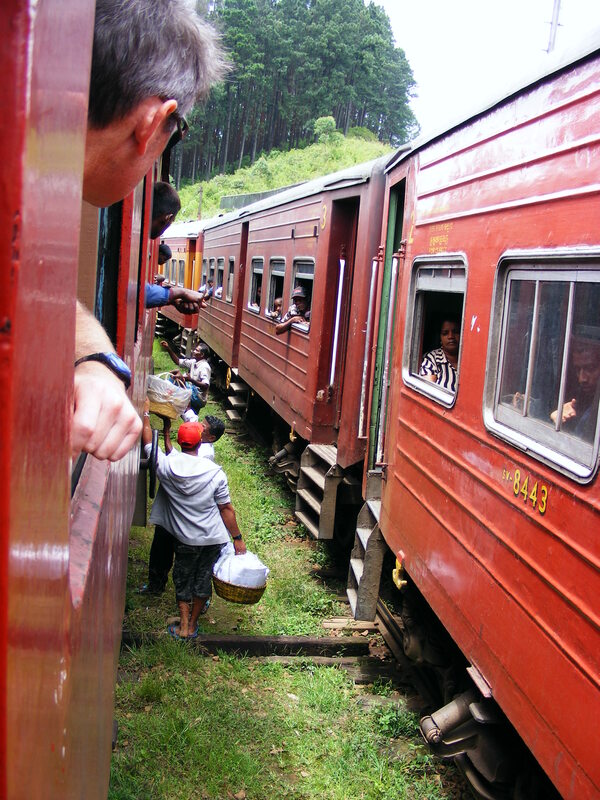 Our recent trip to Sri Lanka was a busy one insofar as we moved hotel almost every night. On a map the distances around Sri Lanka don’t look that great and it appears to be feasible to base yourself somewhere and do lots of day trips with a return to the same hotel every night. But a hundred kilometres in Sri Lanka is not equivalent to a hundred kilometres in most other countries as the top speed you can logistically do is often around 40km/h. The roads are winding and narrow, with cars sharing the road with tuk tuks, cows, buses, trucks, bikes and pedestrians (footpaths aren’t really a thing in Sri Lanka). So, we moved from place to place and adjusted to the slower than usual travel pace. 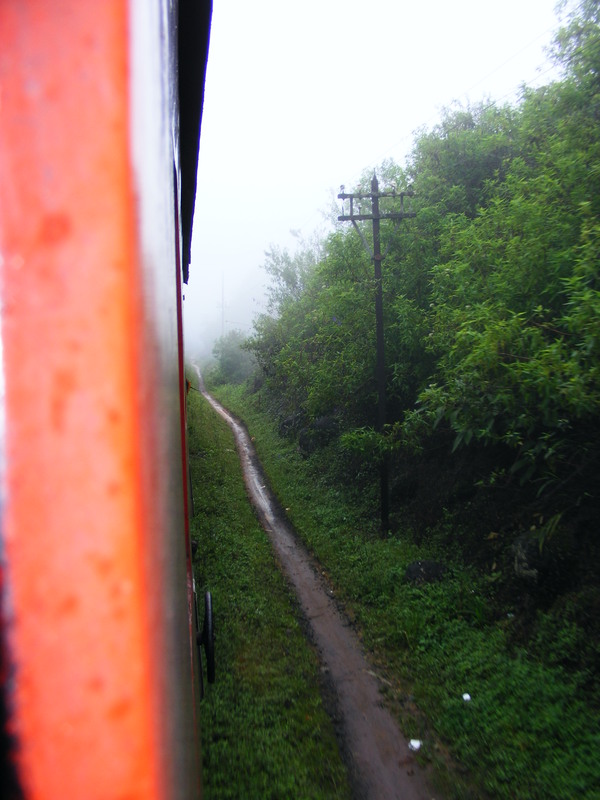 It was suggested when we were planning our itinerary that we should catch the train that runs from the high country area of Nuwara Eliya to Ella as it travels through some really beautiful countryside and it turned out to be one of the travel highlights of my life. And all for only 60 cents (Singapore) an adult and half of that for the kids! 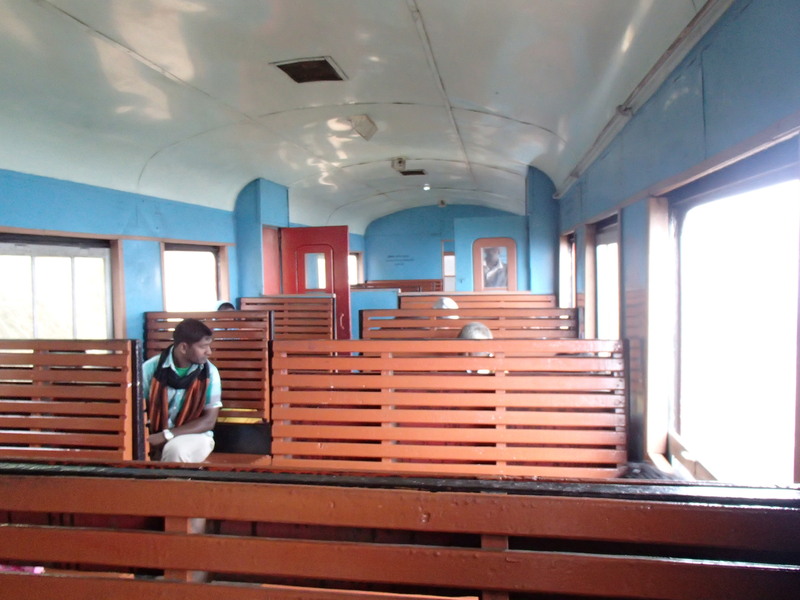 As we wanted to catch the early train that departs Nanu Oya station at 9.30am we didn’t have a choice of classes – so we travelled in Third Class. This had actually been our plan all along so it didn’t bother us at all but it did bewilder our driver a little. The distance travelled is only about 30 kilometres but it took 3.5 hours to get to Ella with a few lengthy (but interesting) stops at stations along the way. I can’t rave about this journey enough. I loved the scenery. I loved sitting in the open doorway and waving to people we passed. I loved that when I offered a lollipop to the Sri Lanka girl across the aisle she checked with her father before saying yes. Never take lollies from a stranger translates across cultures. 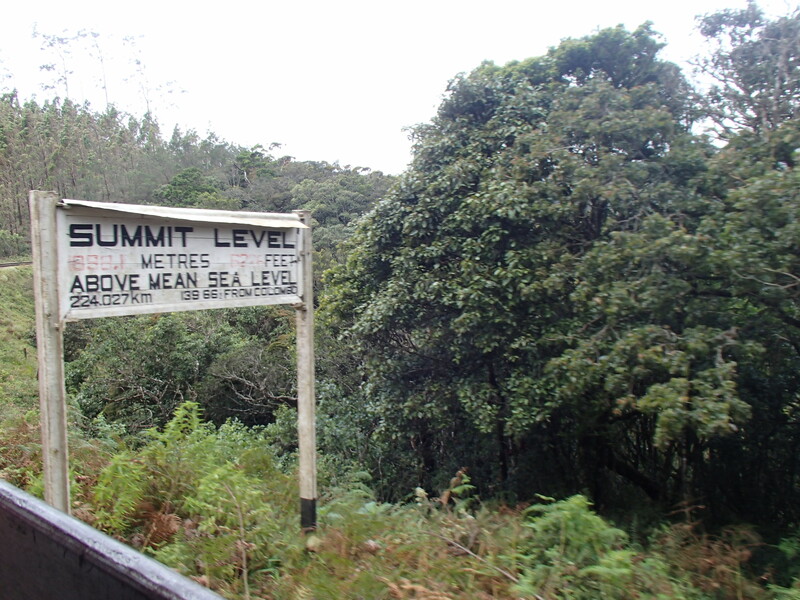 I even loved how cold it got as we climbed to the highest peak of just over 1900 metres, and then how quickly it warmed up as we descended to 1200 metres at Ella. 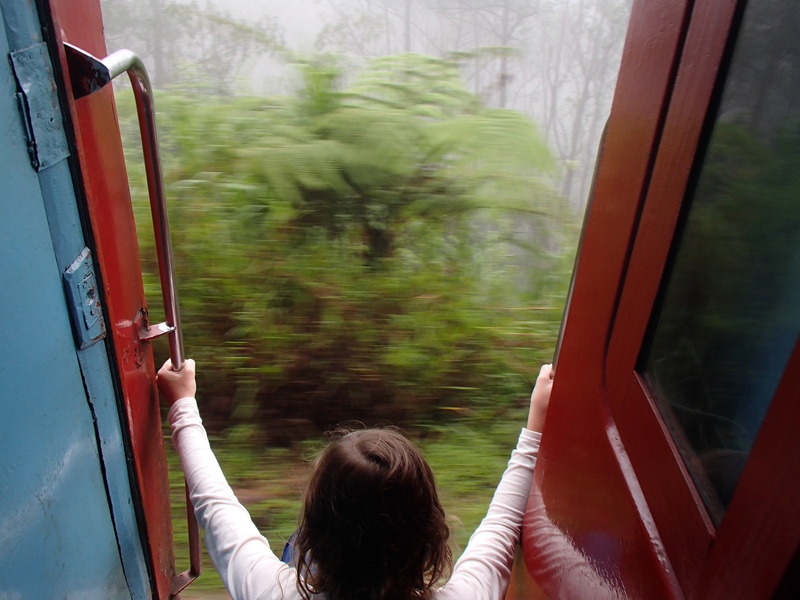 Should you go to Sri Lanka you have to this train trip and I’d really encourage you to travel like a local – and save yourself some cash! 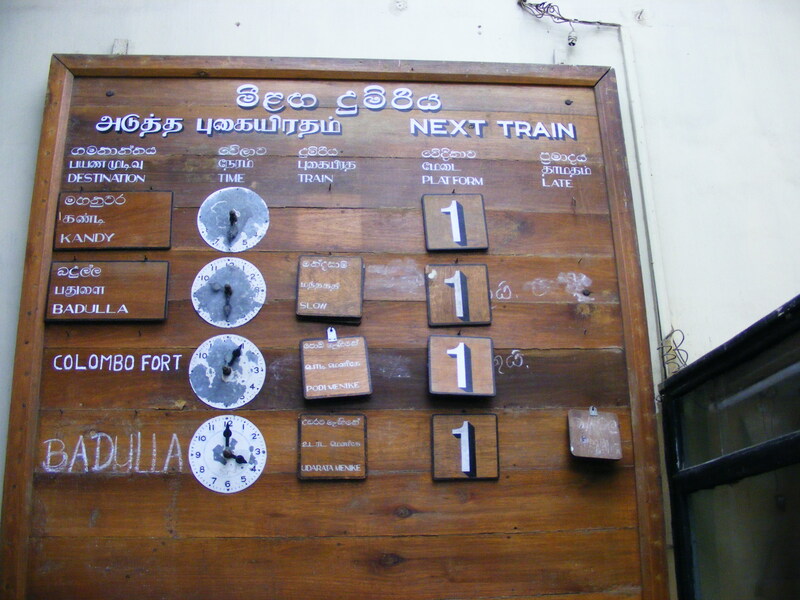 The departure board at Nanu Oya. 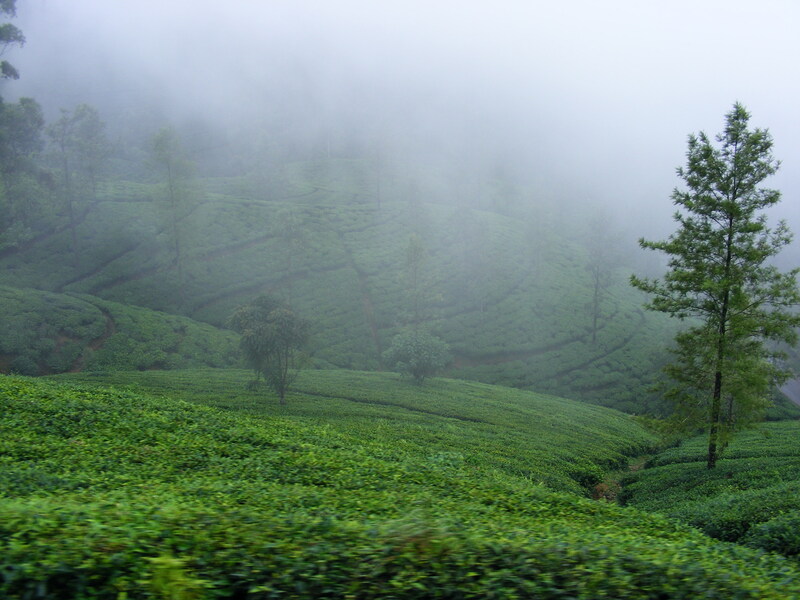 The tea fields covered in mist. 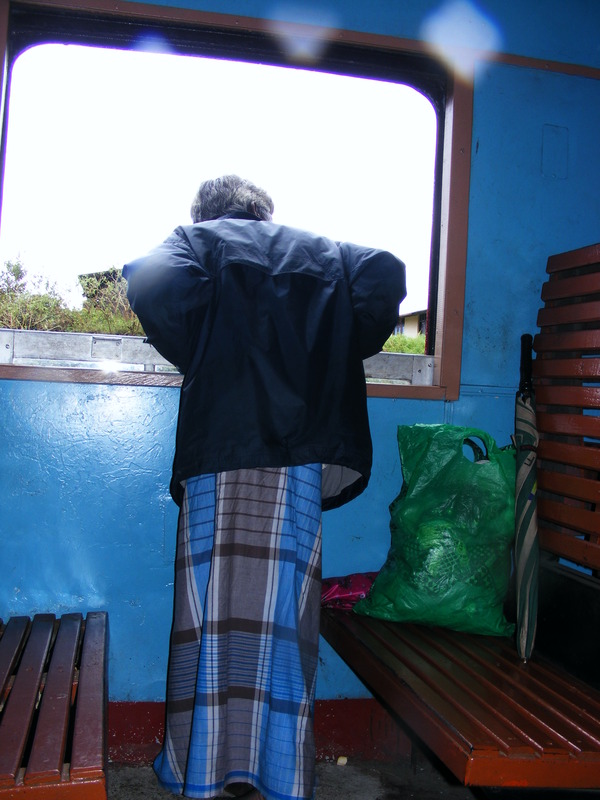 We saw people waiting along the track & men on the train throwing parcels to them. Mail delivery, I guess. 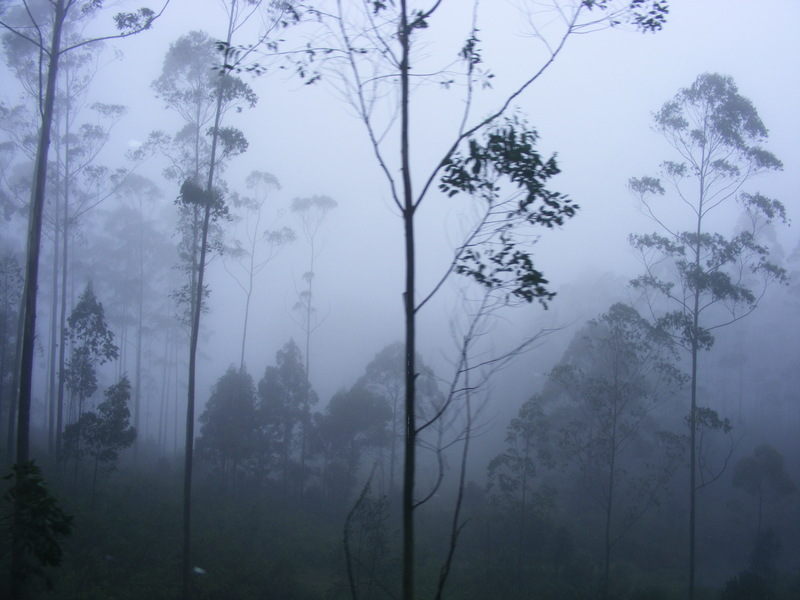 I was surprised to travel through eucalypt forests. It reminded me of home. Even the locals like to hang out the windows. 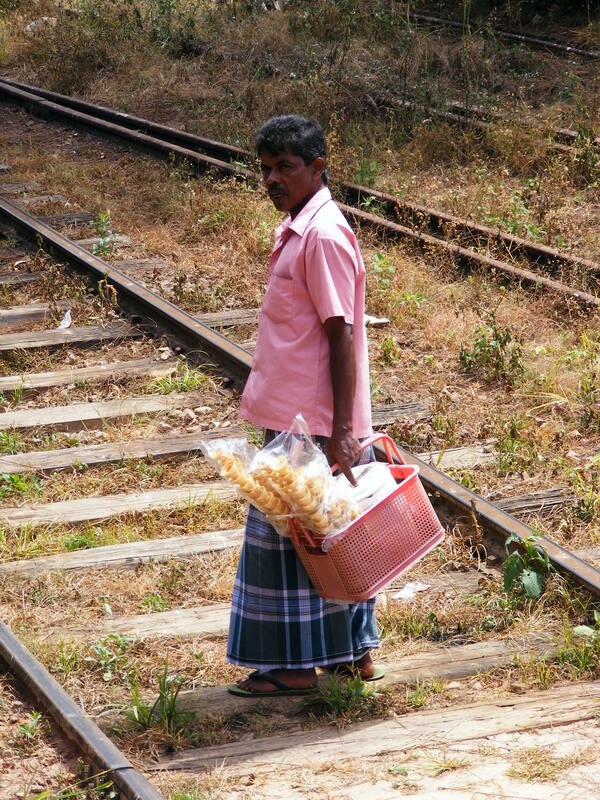 Traders selling goods as we were stopped at a station. 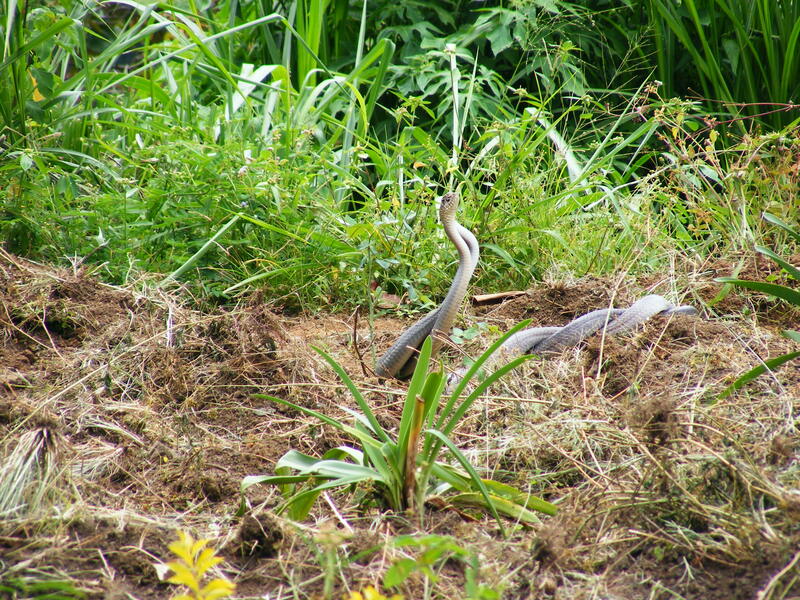 Two snakes “dancing”. Well…that’s what we told the Little Missy they were doing! Sitting in the doorway watching the world go by. Gorgeous way to travel !! This looks like very special memories made! What a great idea to explore like this. Your pics & descriptions took me back to Michael Palins tv series. Loved it too!